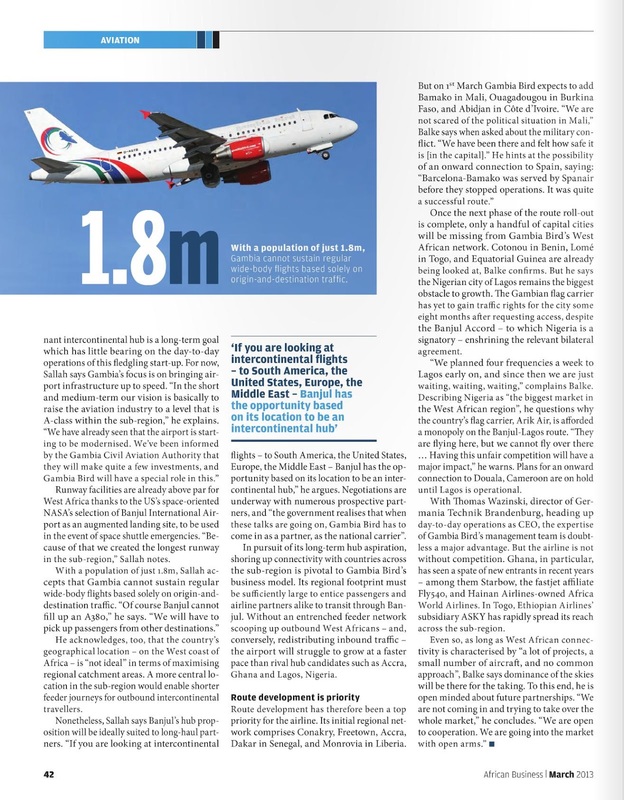 Air connectivity in West Africa has been in dire straits ever since Air Afrique, the transnational carrier part-owned by Air France, filed for bankruptcy in 2002. 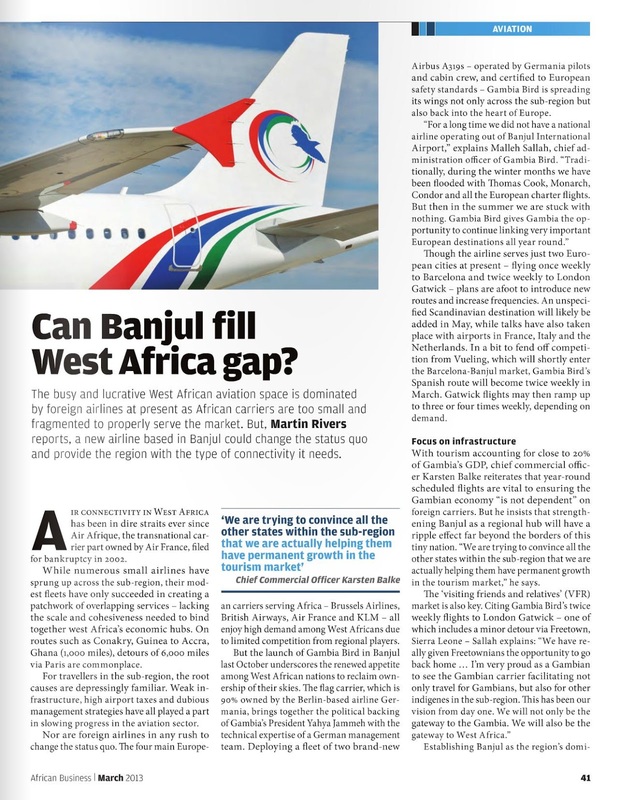 While numerous small airlines have sprung up across the sub-region, their modest fleets have only succeeded in creating a patchwork of overlapping services – lacking the scale and cohesiveness needed to bind together West Africa's economic hubs. On routes such as Conakry, Guinea to Accra, Ghana (1,000 miles), detours of 6,000 miles via Paris are commonplace.